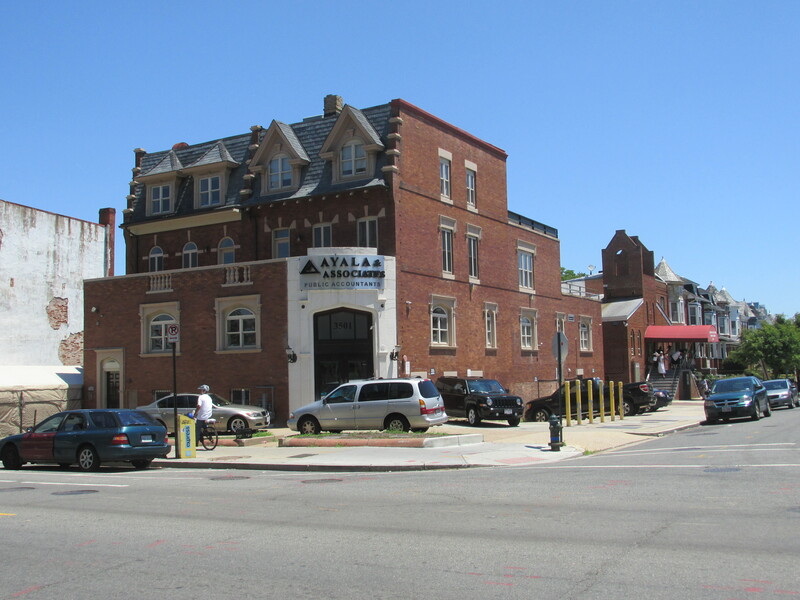 Looking at Historic Ward 1 Buildings: Danzansky Funeral Home & the Former Washington Urban League Headquarters | Park View, D.C.
« What’s DDOT Doing Around the Neighborhood? As we move into summer and people are out and about, I thought it would be nice to point out some of the Ward 1 sites that are officially recognized as historic sites. While some are known to many, others are probably unfamiliar. I’m getting things started in Columbia Heights with the building at 3501-3503 14th Street, NW. It is notable both for its association with Danzansky Funeral Home and as the first headquarters that the Greater Washington Urban League owned themselves. Below are the short histories of each. Bernard Danzansky, a former tailor and ice cream and stationery seller, established the first Jewish funeral parlor in the District of Columbia in 1912, meeting the needs of a growing population of Jewish residents of the city. In 1923, Danzansky moved the business 3501-3503 14th Street, following the migration of Jewish residents to the area. The Danzansky Funeral Home operated here for more than fifty years, as Danzansky became a central figure in Washington’s Jewish community. The establishment occupied the four-story corner rowhouse and its neighbor, which are part of trio of brick rowhouses built in 1910 by prominent developer Harry Wardman following designs by architect Albert Beers. In 1938, Danzansky customized the buildings by replacing the front porches with a Tudor Revival addition that expressed the business use and introduced a large corner entrance. The Greater Washington Urban League purchased the former funeral home in 1977 as their first headquarters owned by them. They remained at 3501-3503 14th Street through 2004. The Greater Washington Urban League Headquarters was founded in 1938 as the Washington Chapter of the National Urban League. From 1956 until 1974, the Washington office was headed by Sterling Tucker, who left following his election to the first elected City Council of the 20th century. The nonprofit membership organization is devoted to civil rights and providing social services. The National Urban League was founded in 1911 as the National League on Urban Conditions among Negroes. Two of the key founders were Ruth Standish Baldwin, the white widow of a railroad magnate, and George Edmund Haynes. The League’s board of directors has been interracial from its inception. This entry was posted on June 24, 2016 at 7:01 am and is filed under Historic Landmarks. You can subscribe via RSS 2.0 feed to this post's comments. thanks for the info. I pass it often and was curious about the configuration of the building and driveway – now makes sense as funeral home.